We know from experience how great a hug feels after a particularly trying day. And now there’s a growing body of research that helps us understand how hugging impacts our hormones, attitude, and immune system. The pioneering psychotherapist and author Virginia Satir spent her career studying relationships and communication. In 1959, she helped establish the Mental Research Institute in Palo Alto, California. She and her staff would go on to develop the first training series designed specifically to teach family therapy techniques. Satir’s work is famous in the family therapy field, but her “hug quote” is well-known outside of therapy. Thirty years after Satir’s death, research continues to demonstrate the impact hugs have on our physical, mental, and emotional well-being. Any parents reading this will be happy to learn that all the time you spend embracing your kiddos is time well spent. 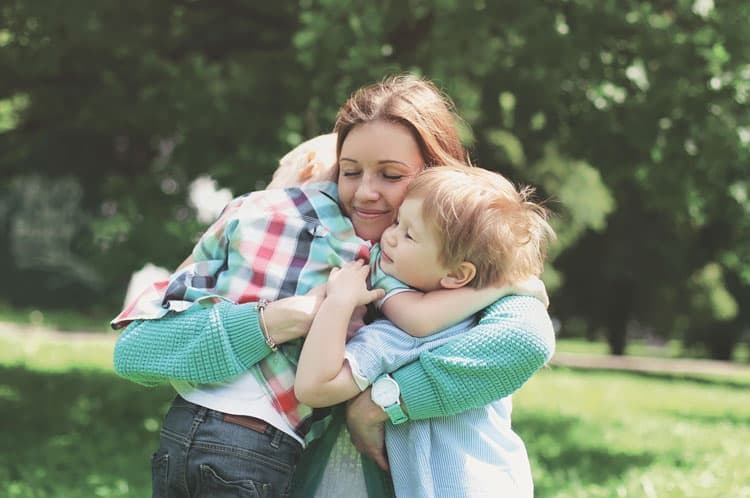 Check out these five hugging superpowers and share them with your family and kids. 1. Hugging lowers blood pressure and stress. Hugs trigger the release of oxytocin, a hormone associated with intimacy and bonding. Since the early 1900s, doctors have recognized the critical role this hormone plays in childbirth and lactation. More recent research has revealed the effect oxytocin has on the central nervous system and cardiovascular system. Oxytocin can reduce blood pressure and lower levels of cortisol, a hormone associated with stress. Takeaway: Embracing can help reduce anxiety and improve sleep. 2. Hugs actually help turn a bad day around. A study published last year concluded that a warm embrace can increase positive feelings and reduce negative ones on days when people experience relationship problems. 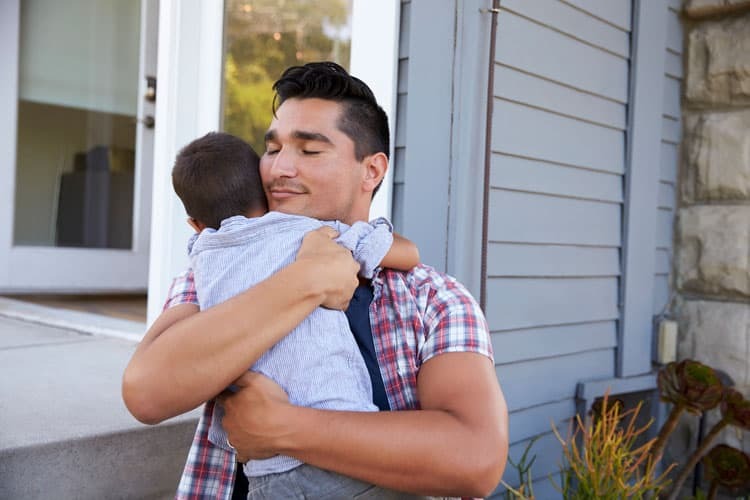 Researchers conducted interviews with 404 participants and concluded that “hugs buffer against deleterious changes in affect associated with experiencing interpersonal conflict.” Takeaway: Hugs can mitigate the effects of interpersonal conflict. 3. The act of hugging is critical for cognitive and social development. In the mid-1990s, neurobiologist Mary Carlson and psychiatrist Felton Earls studied children in Romania who grew up neglected in understaffed orphanages. The child-to-caregiver ratio in these institutions was twenty to one, meaning most infants experienced severe sensory deprivation in their formative months. Through saliva samples, Carlson and Earls found elevated cortisol levels in the infants who were starved of touch and attention. The researchers concluded that a lack of touch and attention stunted the orphans’ growth and adversely affected behavior into adulthood. The work of Carlson and Earls highlights the importance of touch during the critical development years of birth through three. Takeaway: Embrace your children as much as possible. 4. Hugs protect against stress and infection. Hugs have a “stress-buffering effect.” In a study conducted at the University of Pittsburg, participants were interviewed about how frequently they experienced conflict and received hugs. One group of participants was then exposed to a virus and monitored to evaluate signs of illness. Those participants who had strong social support and/or physically embraced each other frequently were less likely to get sick. Takeaway: Twelve hugs a day, keeps the doctor away. 5. Hugging benefits the giver and receiver. It takes two or more to hug it out. Often, we embrace or hold our children when they’re in need of comfort. But it turns out, this little act of love can also offer stress reducing benefits for the giver. 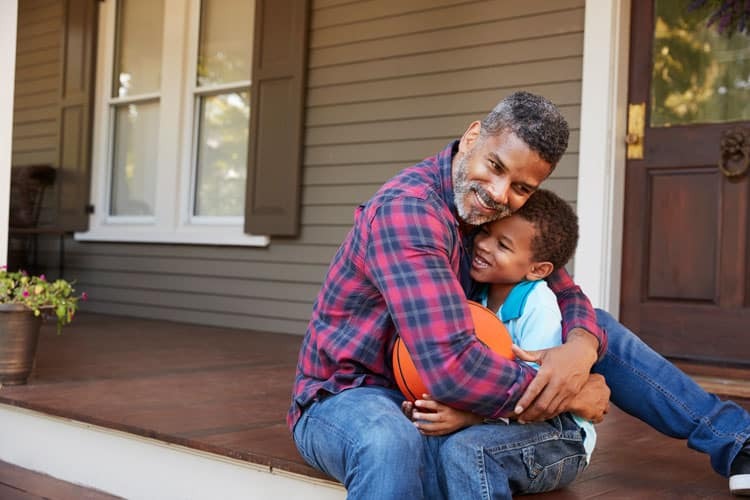 In a 2012 study, researchers concluded that comforting touch, like hugs, “may be beneficial not only for the receiver but also for the giver.” Takeaway: Hugs offer reciprocal benefits. Hugs are a powerful form of nonverbal communication. For little ones, touch isn’t just reassuring and calming, it’s also crucial for development. All those hours parents spend rocking a baby is time well spent. A warm embrace is an investment in a child’s future—a comforting thought for new parents! But embracing isn’t just important for little ones. Humans thrive in emotionally, mentally, and physically supportive environments—and hugs are an important and universal sign of support. They teach us how to give and receive. They are a tactile example of how love flows both ways. Kathy is a freelance writer, an Independent Quality Provider with BabyQuip and the mother of a very active one-year-old boy. When she’s not changing diapers, developing engaging content for clients, or helping families travel with little ones, she enjoys reading, gardening, yoga, and naps. Kathy is a freelance writer, an Independent Quality Provider with BabyQuip and the mother of a very active one-year-old boy. 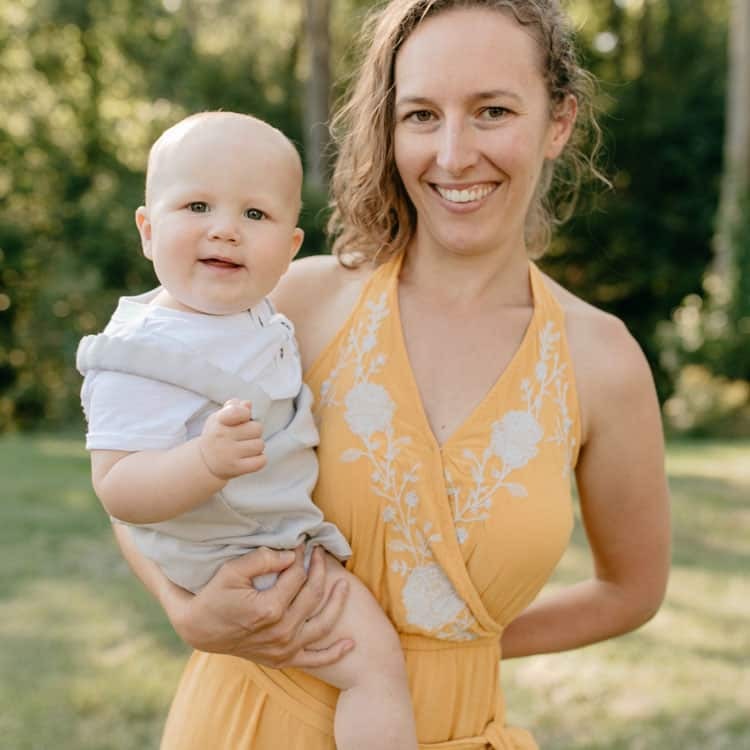 When she's not changing diapers, developing engaging content for clients, or helping families travel with little ones, she enjoys reading, gardening, yoga, and naps.